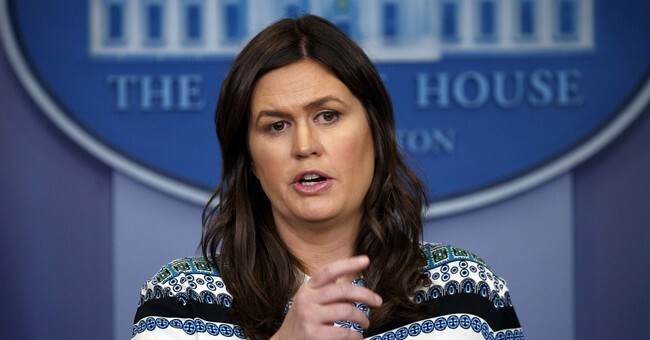 During an interview with Fox and Friends Wednesday morning, White House Press Secretary Sarah Sanders ripped colleagues engaging in leaking, called them cowards and said they will be fired. "I think it is disgusting and some of the most shameful behavior that you could ever engage in. It’s an honor and privilege to work for the president and to be part of his administration," Sanders said. "Anybody who betrays that, I think is a total and complete coward and they should be fired. We fired people over leaking before. I have personally fired people over leaking before. And we certainly would be very willing to do so again." The comments come after a White House conversation about John McCain, during which an aide allegedly said he was "dying anyway" and therefore his vote against CIA nominee Gina Haspel doesn't matter, leaked to the media. When Sanders called a meeting to address the leak, her remarks leaked again. During an interview earlier this week, Senior White House official Kellyanne Conway also said leakers will be fired and to expect staff changes. President Trump has weighed in as well.